Mt. 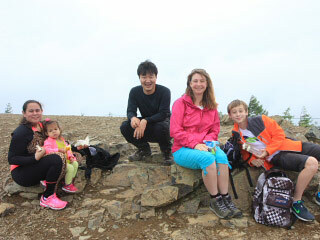 Nyukasa Shiki Bus Tour (四季の旅・入笠山ツアー) is a great one day hiking tour offered by Shiki Bus Tour. The Bus takes to Mt. Nyukasa that is 1955m tall mountain located in Nagano Prefecture. There are ropeway to take tourist into the middle of the mountain and they have about 4 hours of hiking time. This tour includes the bus ride, tickets for rope way and Onsen. Mt. Nyukasa is one of the popular mountain that has a great panorama view of many other beautiful mountains. You can relax on the bus, and not have to worry for driving or taking train. It is very easy and reasonable tour. No restroom on the bus. Mt. Nyukasa is one of the popular mountain located in the middle of Nagano Prefecture. It is 1955m tall and from the top of the mountain, there is a great panorama view of Japanese Alps including Mt. Fuji. There is a marsh that is also known as natural flower garden. There are many seasonable mountain flowers. The round tickets for the rope way is included. This rope way takes you up to 1780m. From the top station to the top of the mountain takes about 60 min. You have about 4 hours here. The time is depended on the traffic. Please come back at the bus. There are restaurants and cafe where you can enjoy lunch. The Bus drop you off at Shinjuku Station. 7:15 start sign up at the parking. 7:30 the bus leave Shinjuku. 9:30 stop for restroom break. 10:30 arrive at the lower station of the rope way. 15:00 the bus leave at the mountain. 17:00 the bus leave at Onsen. 19:30 back at Shinjuku Station. Note: The schedule is all depended on the condition of the traffic. The round trip tickets for rope way.